Home  My Gleanings Page  Illustrated Edition - Page 8. Illustrated Edition - Page 8. J. W. Blue, Jr., of the law firm of Blue & Blue, was born in this city March 29, 1861. He was educated in the public school and Marion Academy, and graduated from the last named in 1880. 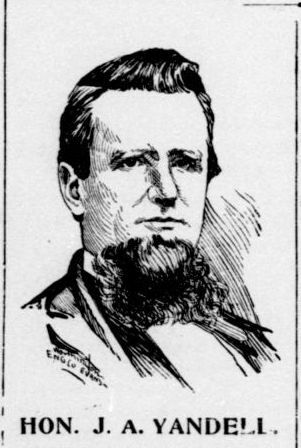 He then entered upon the study of law in his father's office, and afterwards supplemented that knowledge by attending lectures in the Louisville Law School, graduating in 1885, when he became associated with his father in the firm of Blue & Blue, a firm whose fame is extant for the many cases they have led, even under the severest litigation, to a successful termination. By his assiduous works he has risen rapidly in the ranks of his profession. As a lawyer he is an indefatigable laborer and has made a splendid record here which few young men in Kentucky have ever equaled. He has built up a splendid law business, is considered an attorney of sterling worth, and his success is brilliant. By dint of his oratorical powers and persuasive address in addressing a political gathering or elucidating law and evidence before a jury, the force of his argument is irresistable [irresistible]. 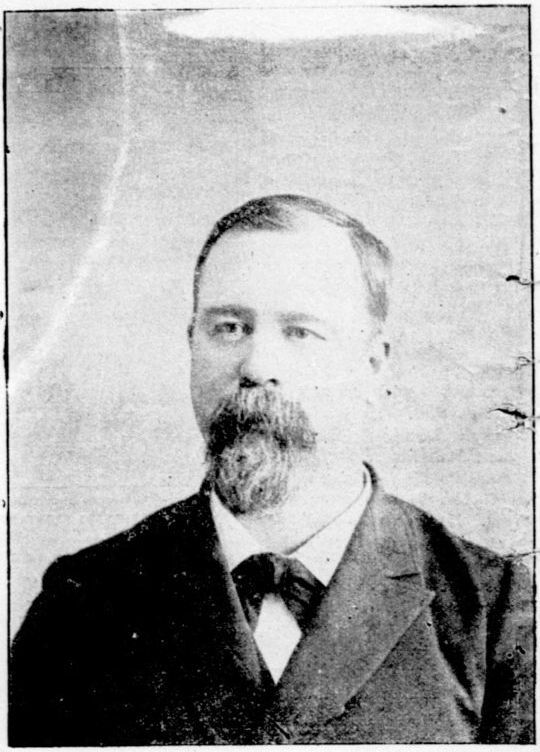 Although not an office seeker he was honored by his fellow-citizens in 1890, being at the time elected county attorney in one of the most bitter campaigns ever waged in Crittenden county, one in which many of his associates were defeated, but he was elected with a good majority, and has served with distinction. As a citizen of Marion, as a lawyer of excellent intellectual attainments, as a neighbor and as a gentleman, in the highest sense of the term, the subject of this sketch is esteemed by every one who has the pleasure of his acquaintance, and the powerful law firm of which he is the junior member, will go into history as one of the ablest, and most honorable that ever existed in this section of the state. He has been nominated by his party for re-election to the office of county attorney, and has no opposition. He has made the county a splendid officer in every particular. His re-election will be a befitting tribute to one of the best men ever born and raised in the county, and an officer whose obedience to duty none can gainsay. Charles Evans was born in the historic old town of Salem, Livingston county, Kentucky, August 16, 1870, his father, a poor and honest blacksmith, coming to Salem and settling there along in the 60's. His boyhood was passed in alternate seasons of school going at the Salem public school and working in the shop, which had passed into his brother's hands. At school young Evans made "stand in the front ranks" his motto, it seems, for he ever received commendation from his teachers, and bore off many prizes and medals that were offered for emulation in the school. At the age of 16 he had reached such scholarship that the home people's attention had been attracted in that way that when the time came to select a teacher for Salem's school in 1887 he was offered the Principal's place. Owing to his young years and t[o] being his home school, he asked for the position of assistant, and it was given him. Thus his career of teaching was begun, which has been from the first very successful. 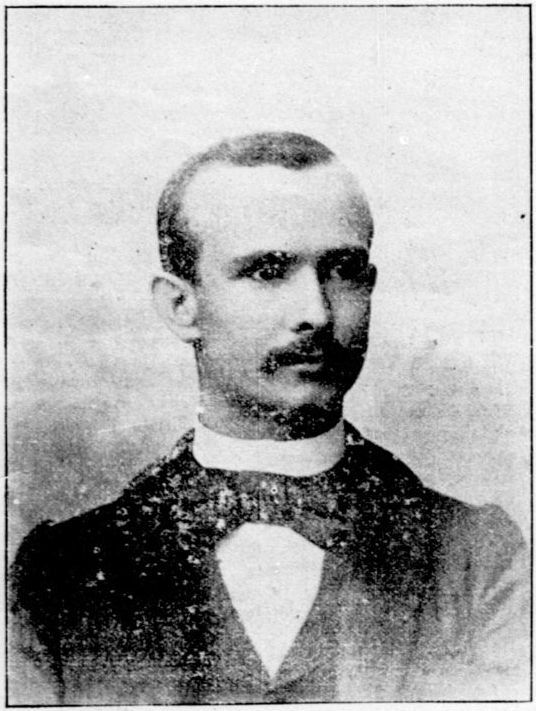 In the spring of 1889, receiving the appointment from his county, he attended the A. and M. College at Lexington, Ky. Coming home he taught school and in 1890, to more thoroughly equip himself for the teacher's profession, he [e]ntered the national Normal University at Lebanon, Ohio, one noted for sending forth more successful teachers than any school in the land, and he graduated with honors there in 1891. He was asked to take the school at Salem, which it seems had fallen away from the prestige it once proudly held, he took it, and there, with the exception of a few months, he has been teaching, and with that success which has reserved to Salem some of her pristine glory as an educational center in the county. He is looked upon as a leading educator among his coworkers in Livingston; they have honored him with positions of trust, at their institutes, put him on the examining board, and twice elected him president of the County Educational Association. Mr. Evans was one of the many applicants for the principalship of the new Marion Graded School. The board of six trustees, after a thorough investigation and review of the situation, by a unanimous vote chose him to fill the highest and most responsible position in the institution that is the pride and glory of Marion. Judging the future by the past Mr. Evans will make our school one of the leading educational institutions of Western Kentucky. He is amply equipped for this great work, his ambitions are along that line, his energy knows no such thing as failure. One of the best known ministers of Crittenden county is Eld. J. S. Henry. He is not only popular as a minister and pastor, but he is recognized as one of the most genial and companionable men in the county, and as a citizen he has a deep interest in all the enterprises and institutions that look to the upbuilding of his adopted county. As pastor he has filled the pulpit of the best churches in the county. He is now pastor of Shady Grove church, this county, White Sulphur, Caldwell county, and Woodland, Union county. 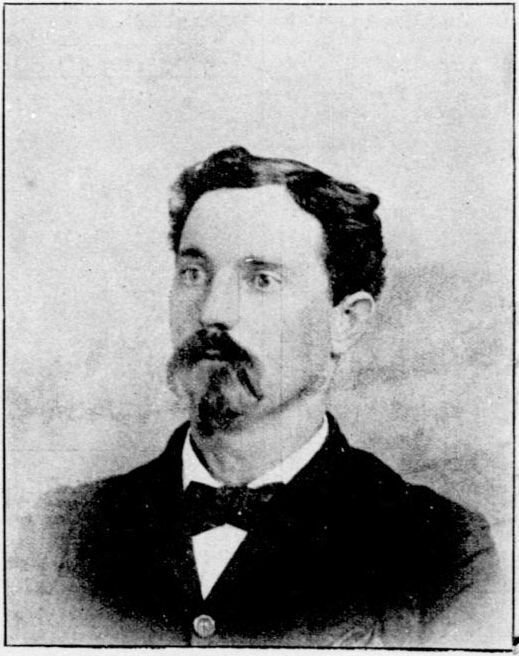 He was born in Muhlenburg county, March 27, 1848. He attended the public schools of his county, when opportunity was afforded. In 1866 he entered Bethel College, taking a three years course. After this he went to Evansville and learned the stone cutter's trade, having finished a three years apprenticeship, he went to Madisonville and opened a marble shop and later he came to Marion and continued in the same business for a number of years. He was the first man to establish the business here, and while he has now ceased to engage in manual pursuits, he turned the business over to his brothers, and it is still one of the money making business of the place, and keeps, annually, hundreds of dollars in the county, that was formerly spent at other places by the people of the county. While the subject of this sketch toiled at his trade of stone cutter, he pursued his studies with a desire to enter the ministry, and he was ordained January 12, 1874, and then began the real earnest work of his life. As intimated before he has been successful in the ministry, doing great good and rising in the esteem of the people and his brothers of the same calling. He has been elected delegate to the Southern Baptist Convention for eight consecutive years--an honor that any minister may view with laudable pride. Tolu precinct is the greatest corn growing section in the county and some of the finest farming lands on the globe is in that section and there too are some of our best and most prosperous farmers. Among that number is Mr. Foster Threlkeld. He was born in Crittenden county, April 27th, 1857. He is a son of Willis N. and Susan (Foster) Threlkeld. The father died many years ago. He was a native of Kentucky, his father came from Virginia in the early part of the century. Mrs. Susan Threlkeld was a native of Oldham county, and came to Crittenden after her marriage. 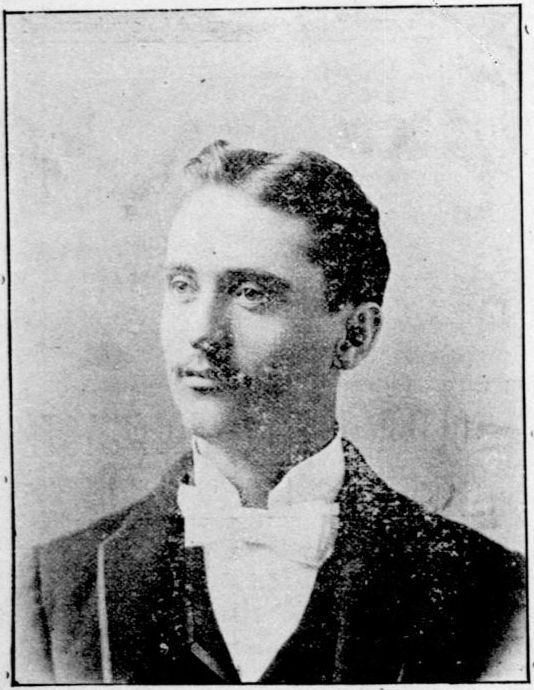 Foster Threlkeld attended the public schools of the neighborhood, and was in Marion Academy three years, and he attended the State University at Lexington one term. Upon quitting school Mr. Threlkeld took charge of the steamboat landing and post-office at Hurricane, then one of the most important shipping points in the county, and for some years he did a genial shipping and forwarding business. Later he took charge of the large farm his uncle, Mr. R. W. Foster, in the Tolu neighborhood, and for several years he has been engaged in farming on a [pretty] large scale. On December 22, 1880, he was happily married to Miss Anna Black, of this place, a daughter of the well-known lawyer[,] Nathan R. Black, who at one time was a member of the Kentucky Senate from this district. Mrs. Threlkeld died April 1, 1882. 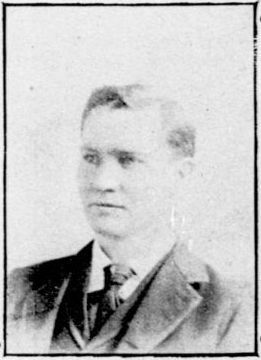 Last year, Mr. Threlkeld's friends were anxious for him to make the race for the Legislature, and he was assured of a strong following, but he preferred to leave the field to the other gentlemen, some of whom were his personal friends. He is not without ambition in that direction and some of these days when it is Crittenden's time to name the man, Mr. Threlkeld will ask his party for the honor. J. A. Yandell was born November 22, 1822, in Christian county, Kentucky. When but two years of age [h]e left with his parents the county of his nativity, moving to Hopkins county. In January, 1849, he removed to Crittenden county, and has since made this county his residence. He at once entered on his duties as a citizen and has borne his share of the troubles and trials incident to a newly formed county. He was elected constable of Dycusburg district in 1850, when he made the race against F. M. Dunn; re-elected in 1852, when Wilson Travis opposed him; and again re-elected in 1854 without opposition. Mr. Yandell was married to Margaret E. Crouch October 20, 1852, and from this union five children were born to them, one daughter and four sons, three of whom are living, two sons dying while very small. The mother died January 2, 1863. A second marriage solemnized June 2, 1864, with Sarah B. Bishop, of Hopkins county. Six children, three sons and three daughters, were born and are still living, survivors of the mother, whose death occurred March 19, 1887. Mr. Yandell is surrounded by the homes of his children and grandchildren, all of whom take great pleasure in making the declining years of the venerable old gentleman one of continued happiness. Mr. Yandell was elected sheriff of Crittenden county in 1858, and a second time in 1860. The first opponent was George M. Towery, and in 1860 Henry Cook was his opponent. He was elected to the lower house of the Kentucky legislature in 1865, and was a worthy and venerated member or [of] that body in 1865-6. Mr. Yandell has always been a farmer, as to vocation, a republican in politics, and a Universalist in religion. If a citizen of Crittenden county were asked to point out a good financier in Marion, there would be no hesitancy in naming A. J. Pickens. If a stranger asked for a man conversant with the price, and posted as to values of real estate in the county, A. J. Pickens would be named. He probably has a larger and more intimate acquaintance with the people of Crittenden than any other man living to-day. 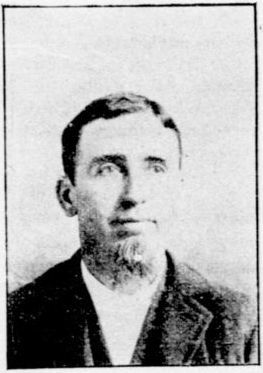 He was born in this county December 22, 1852, and is a son of William and Susan Pickens, both natives of the county. Mr. Pickens began life for himself as a farmer at the age of twenty, renting a farm until he was able to buy one of his own. In 1882 he was elected jailer on the Republican ticket and for four years made the county one of the best officials in that office it ever had. In 1886 he was elected sheriff, and so admirably did he serve the people in that capacity, that two years later he was re-elected without opposition. When he retired from office in 1890, everybody said: "Well done good and faithful servant. " Since that time he has been dealing in real estate and successfully trading. When Marion Bank was re-organized, he became one of the stock holders, and the other people interested in that popular institution recognizing his value, made him Vice-President and in that capacity he is serving to-day, recognized as one of the leading spirits of the county. He has demonstrated that energy, good judgement, tact, nerve and honesty is as successful in Crittenden county as any where else in this great country. It may be positively asserted, even of an era so intimately associated with the truly prolific of all that bears upon the arts and sciences, that no feature of art has made such rapid strides toward perfection as photography, in this the nineteenth century; and especially is this true of a period embraced within the past twenty years, wherein what is known as artist photography sprang into existence. This term is employed to represent the taking of photographs as reduced to a practical art, an art of the most advanced degree of excellence and utility. As a demonstration of such features of the photographic art, we wish to call attention to the photographic establishment of J. L. Stewart, which is supplied with all the accessories necessary for good work, and they use the aristo and solio prints, the best known to the art. Mr. Stewart and his associate and sister, Mrs. Price, apply themselves closely to business, and acquired those essentials of business training necessary to every one ambitious of success, and it is no wonder that his business has grown and prospered day by day. Boucicault, in his popular play, "The Octoroon," brings down the house by making Salem Scudder say to Simon Legree, when confronted with proof of his guilt in the picture obtained by the camera, "The instrument never lies." This clever melo-dramatists' touch elicits applause, but with all due deference to his dramatic ability, we differ with him, or rather with the assumed fact, as a bad disposition or posing of the subject. Imperfect and injudicious lighting and bad development may not only totally destroy the likeness but render beauty hideous. This, however, may be avoided by the operator, who possesses the artistic element in his training, and pictures are satisfactory or otherwise according to the resources of the photographer's ability and skill. Mr. Stewart does some fine work and makes a specialty of view-taking. The photographs from which the cuts were made that illustrate this edition show his highly artistic work. conclude that the deposits in these west Kentucky veins will be found valuable only when one or both wall are limestone. The depth to which the deposits extend depends upon two conditions: (1) the thickness of the limestone formations through which the fissures pass; and (2) the amount of displacement to which the strata were subjected at the time of faultering. The limestones that must [be] counted as the principal source of the metals in this region, are the Princeton and St. Louis, having an aggregate thickness of no less than five hundred feet in this county. Beneath these limestones the formations for hundred of feet would be counted by drillers as mostly slate. At the Columbia Mines the limestone forming the east wall may be counted on as extending downward at least four hundred feet, when the shaly beds of the lower sub-carboniferous will be encountered. This is however not the end of the entire series will be met with again, but this time on the west side of the vein at the depth of four or five hundred feet. Hence the vein will have a limestone wall, and therefore should be productive, to a depth of from eight to nine hundred feet. We must not forget that the country rock on each side of the vein was once an unbroken series of strata, and that limestone which may be at the surface on one side occurs also on the other, but at the depth corresponding to the amount of the down-throw. Essentially the same conditions which have been described for the Columbia will be found to prevail at the Tabbs, Franks and other mines. The vast system of faulting to which the rocks of this county have been subjected is well shown on the accompanying map. Over twenty distinct lines of fracture have been determined, and it is certain that others remain to be traced out and still others, perhaps to be discovered. Comparatively few of these fractures are as yet known to be filled with metaliferous deposits, the majority being recognized only by abrupt breaks in the continuity of the rock strata. Many of these breaks pass through sandstone country, and these, as may be expected from preceding remarks on the association of the minerals with limestone, are not likely to present anything but very meager prospects at the surface. If they contain metaliferous deposits at all, and we know of no reason why they should not, these probably occurs at depths beneath the surface correspon[d]ing to the position of the limestone beds. At some points the top of the Princeton limestone may be three or four hundred feet below the surface, as for instance on the Columbia vein between the Ohio river near Weston and the crossing of the Hurricane break near the Springs. At others the depth may be less than 100 feet. Still, in searching for mineral deposits the prospector will do well to follow the lines of fracture as laid down on the map, since success is more likely to reward his efforts along those lines than elsewhere. Valuable deposits may be discovered at almost any point on them, but experience teaches that the chances of finding them at the surface are by far the best where limestone occures[occurs] on one or both sides of the fault. At least four veins that may be styled as above occur in this county. I have not the time, nor is it necessary, to do more than merely mention the chief characteristics of these. The first and best known is the Columbia vein. Its course is shown on the map. It has been opened at several points, but at only one has the shaft been sunk lower than forty feet. This is at the main shaft of the Columbia mines, sunk in or near the axis of intersection of the Eureka and Columbia veins to the depth of 135 feet. At the 80 foot level four drifts each from one to two hundred long, were run out on the two veins. The workings at the mines, by Page and Krausse of St. Louis, was the first systematic attempt to develop the lead and zinc deposits of the county with anything like the capital required to back such enterprises. The work was, however, undertaken at an unfortunate period in the history of mining, the great depression in mining enterprises which set in 1877 and seriously affected the mining interests of the whole country, having had no less severe effect upon the interests in Crittenden. Lead declining in price from five cts a pound to two and a half cents made successful mining for lead here out of the question. Notwithstanding the decline in the value of the principal products, it is reported that the bottom of the main shaft showed so well that the miners who had sunk the shaft and worked in it over a year, proposed to work the mine at their own risk, being apparently confident of earning satisfactory wages, even with lead at only two and one half cents. The lead which was extracted from these mines, being exceptionally soft, was much sought after by manufacturers of white lead, they being willing to pay a premium over the market price to secure it. The vein as shown in the main shaft is from one to nine feet wide, and filled with vein matter consisting of fluor spar, and less calc spar, the two constituting about 50 per ct. of the whole; zinc blende perhaps 30 to 40 per ct, and galena 5 per ct. or possible as much as 10 per ct. According to the best information obtainable, the percentage of the last increased with the depth. The Eureka vein has been opened at a number of points southeast of the main shaft on the Columbia, the shaft's are all shallow, but fine looking mineral was struck in most of them. What is known as the "whine shaft" is the deepest, and it is reported that very large masses of lead were taken out here; one mass, consisting of an aggregation of small galena crystals and some fluor spar is said to have weighed more than 1400 pounds. The LaRue vein, with two principal openings, the first at the LaRue mines situated on the headwaters of Deer creek, the second at Frank's mines three miles northeast, seems to be in all essent[i]al respects like the Columbia and Eureka veins. The vein matter is practically the same, although the limestone on the west side of the vein is of the St. Louis group, while the Princeton limestone is the surface rock at the Columbia. An open cut is being made on the vein just beyond the Franks shaft. The vein as exposed in this cut is sharply defined, about six feet wide, and consists largely of blue fluor spar with zinc blende and galena liberally distributed through the mass. Tabb vein follows the line of a strong fault running through the southern portion of the county from the junction of Claylick and Axley creeks, north 78 degrees or 80 degrees east, crossing the Ohio Valley R. R. a half mile south of Anora. At the shafts that have given the name to the vein and from which, in earlier days, large quantities of lead was extracted the vein and character of walls are very much like the conditions noticed at the Franks diggings. There is however, one element in the vein matter here that is not noticed in any of the other veins. I refer to Barite or heavy spar, which occurs in small quantities at the Tabb mines, but becomes very abundant farther east on the vein. In the Railroad cut is well shown. Here it consists almost of massive, snow white Barite, in three divisions or veins, aggregating a total width of nearly twenty feet of this material. This ought to be a valuable deposit, since it can be mined very cheaply, and lies on a railroad. The Yandell mines are situated about five miles northeast of Dycusburg. Large quantities of very fine white or wine colored spar was mined here some years ago by a Cincinnati company. I was assured by the president of the company that the operations had been profitable and would have been continued but for the knavery of one of the officers of the company. My examination of the mines convinced me that the spar is present here in ample quantity, and of quality equal to any in the country; and, aside from the item of transportation to the Cumberland river, I can see no reason why these mines should not be worked at a profit. The Holly vein, opened at several points near the LaRue mines, appears to be identical with the Yandell vein except in the course of the vein. The spar is as fine as it can be, and the only feature against the profitable mining of the Holley [Holly] deposits lies in this, that they are situated too far from present transportation. The same is true of the Beck and Memphis veins, on which the principal shafts are located nearly six miles northwest of Marion. Other, but less deep shafts, in which the spar is in no respect inferior to the best, have been sunk on theses veins a short distance south of the Columbia mines. Other spar veins have been sunk on at various points in the county, but those enumerated are the best known, and perhaps the most valuable. I believe that I have mentioned enough in the above to prove that Crittenden county is, to say the least unusually rich in mineral deposits. All that is required to insure her the condition of prosperity to which these natural advantages entitle her, is a spirit of enterprise on the part of her citizens, and capital to develope [develop] them. Among the first steps to be recommended are greatly increased facilities for transportation, not only in the way of railways but county roads. For obvious reasons, this point cannot be too strongly urged. The development of the mineral deposits should be along two natural lines. In the first a revival of the coal industries go hand in hand. These alone would be of great consequence in the progress of the county. In the second line the developement [development] of the lead and zinc, barite, fluor spar deposits; ochres and other cheap pigments, are naturally associated. If it could be managed, one large company or syndicate ought to control all of the items mentioned in the second line. In that case a large plant might be established at some point along the river, say Tolu for instance, where the various products might be worked up. All sorts of paints could be manufactured there. Having the crude material and the sort of transportation close at hand, enterprise if properly conducted, could scarcely fail to be renumerative [remunerative]. And, why would it not be wise to establish a pottery at the same locality? With the fine clays of the Purchase so near, and as good spar as can be found anywhere, close by, white pottery ware might be manufactured under more advantageous circumstances than at any point where that industry is carried on. But I have said enough. The remainder lies with you and the capitalists.